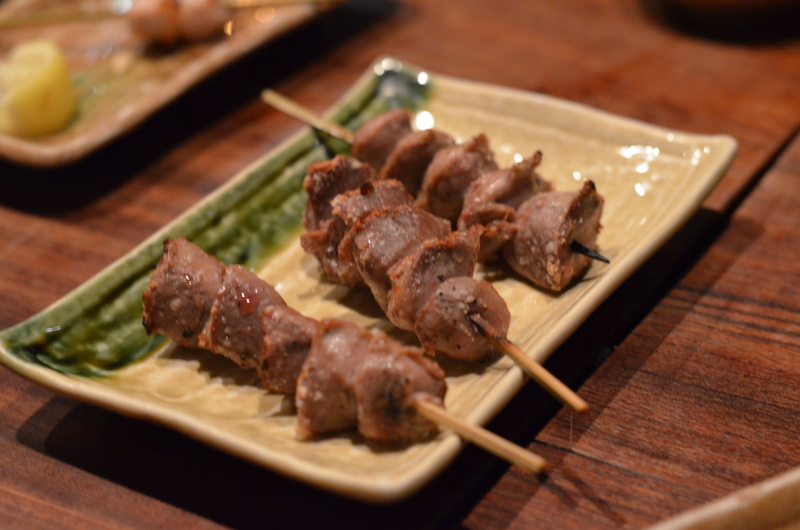 Funnily enough, on the night where the otherwise fantastic folks at Tanoshi bungled my reservation, we took a brisk walk some blocks down to another well-regarded Japanese restaurant in the Upper East Side: Yakitori Tori Shin. Michelin-starred yakitori is a strange concept in New York, if only because it’s hard to place among the endless European and New American restaurants that otherwise populate the list. 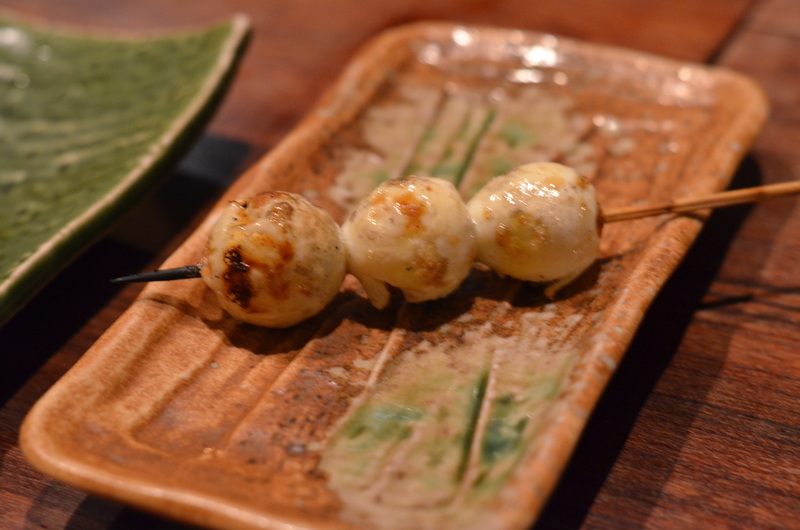 High-end sushi, sure, but yakitori? Drinking food? But this is carefully-sourced drinking food, with Himalayan rock salt at the bar and stuff flown in from Japan. So, hell yes. Despite (or perhaps due to) its placement in a nondescript block of the mid-sixties, Tori Shin is a cozy haven of sake-lubricated Japanese suits and my Asian-food-aficionado brethren luxuriating in their charcoal-haze element, slurping and glass-clinking and opining and laughing their way to a good night. Tori Shin’s goods were simple, straightforward, well-made, crisped and burnt when they should have been, equally so for the tender and buttery. 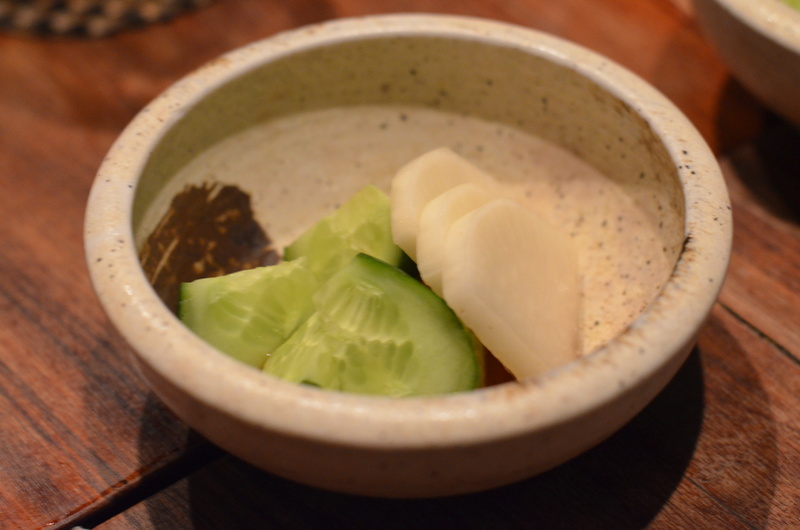 A bowl of daikon and cucumbers. Quail eggs, lightly crisped. 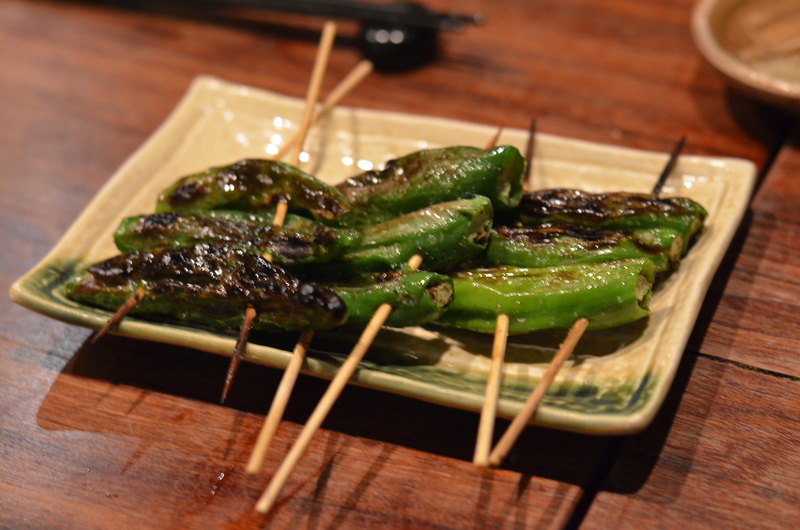 Shishito peppers, with a healthy char. 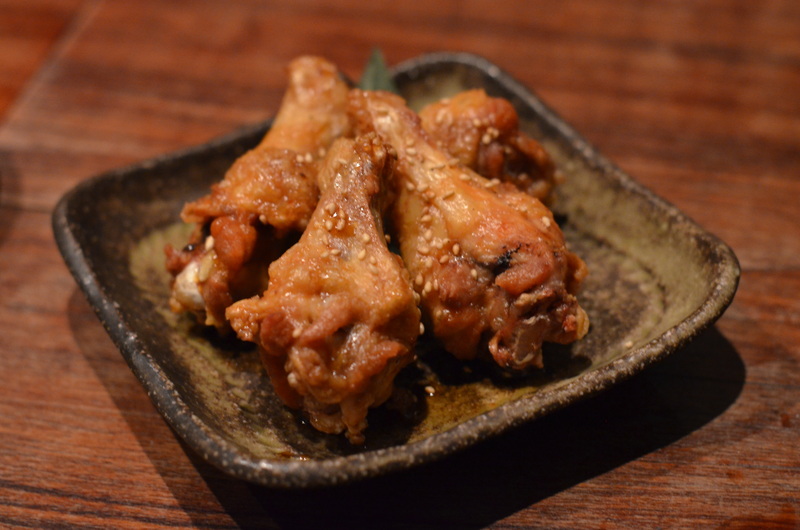 These spicy fried chicken wings weren’t from the grill, but I’m not complaining. Grilled chicken skins. 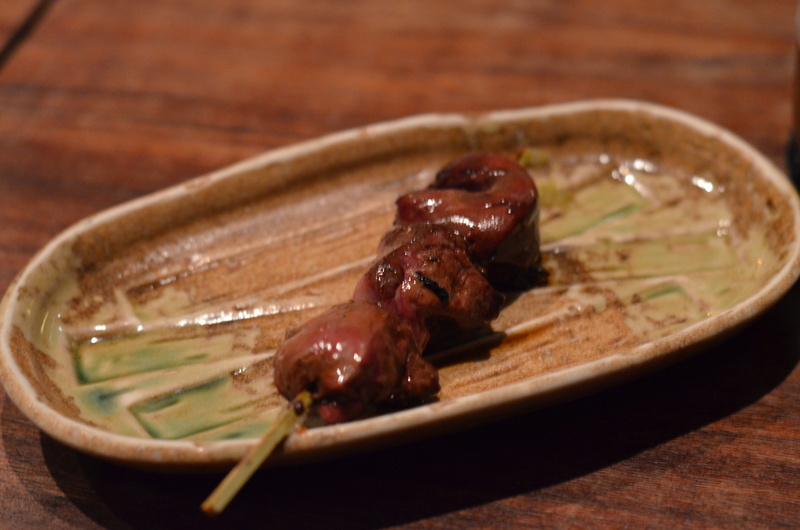 One of my favorite yakitori dishes, that wonderful chicken proxy to bacon, glorious compressed sheets of cracklin’. Liver, with that savory bitterness. This version was more lightly cooked than most, lightly sauced, tender, almost buttery. My other preferred chicken offal is gizzard. I grew up on this, so the chewiness and the funky burst of flavor that shines with a dash of salt. 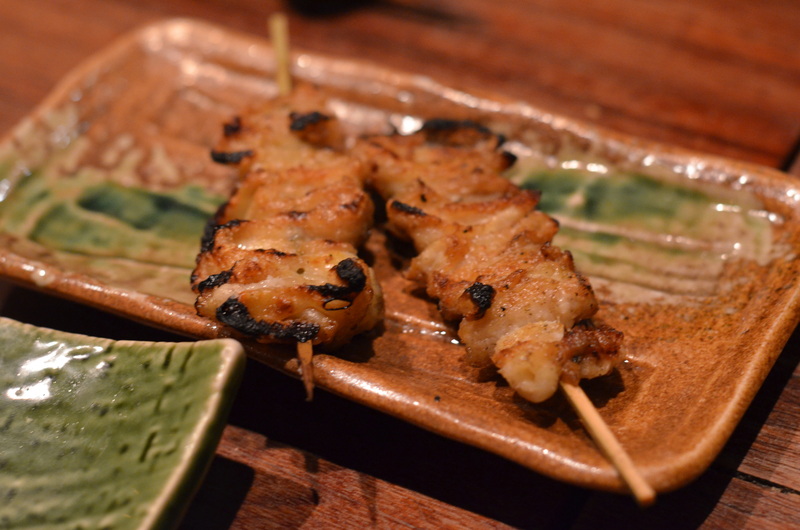 The freshness of the chicken parts really shines through, accentuated by Tori Shin’s (or rather, quality yakitori’s) simple approach to seasoning. Prices here are reflective of that, so if you come for just yakitori, it may be a good deal to go for the various sets (10 skewers, or a broader omakase meal), but that said, there’s nothing wrong with embarking on a bit of an adventure into the land of poultry unknown. Kidney? Heart? Knee gristle?